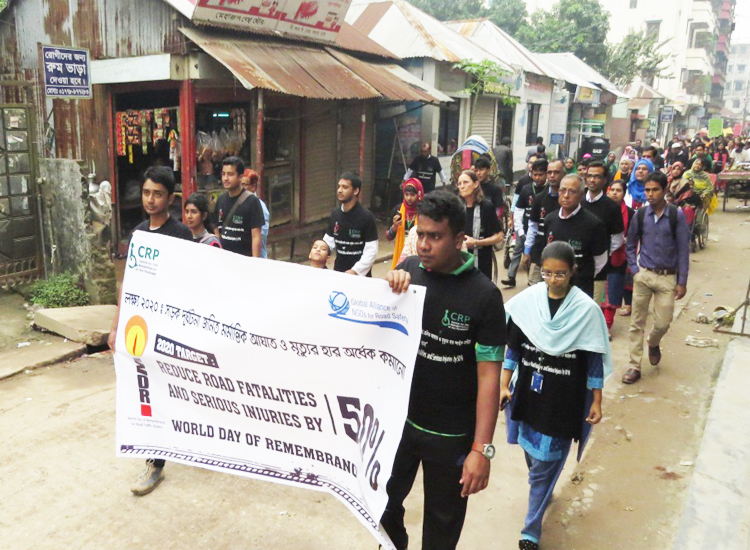 World Day of Remembrance for road traffic victims. CRP observed the world remembrance day for road traffic victims on 19th November, 2017. The day started with a rally inaugurated by CRP’s Founder and Coordinator Dr. Valerie Taylor. Many staff members, students and patients joined the rally, which was led by CRP’s Executive director, Shafiq-ul Islam. Then a debate competition was held in the Reddaway Hall where a team from BHPI competed against a team from Jahangirnagar University. The topic for the debate was ‘only awareness can reduce the rate of road traffic accident’. The BHPI team supported the motion and won the competition. At the end, all participants received prizes.